Halloween is typically marked by creepiness—creepy creatures, creepy people, and often creepy sounds. While it could be true that some of the creepy Halloween sounds are uttered by ghosts, ghouls, and goblins, it’s also true that most are not! In fact, some mid-autumn night sounds are actually produced by several of our most popular, if not enigmatic birds: owls! 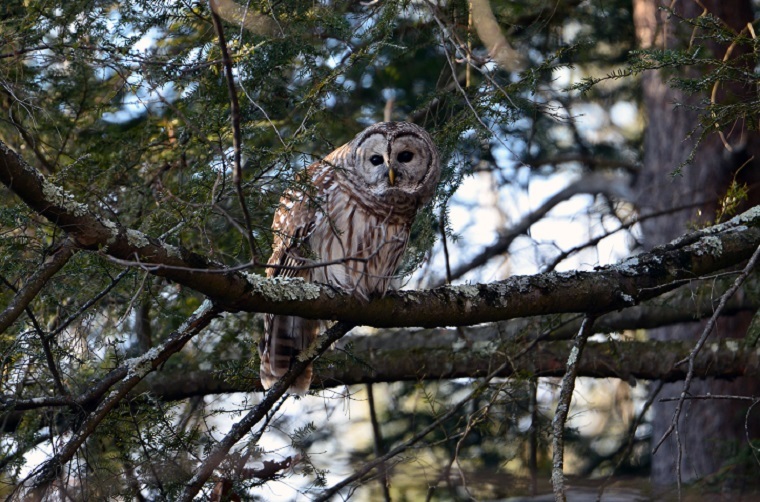 Massachusetts regularly hosts five nesting owl species: Barn Owl, Eastern Screech-Owl, Great Horned Owl, Barred Owl, and Northern Saw-whet Owl. Other Bay State owl species are either rare or only seasonal visitors. Because most owls are active at night, much about the lives and activity patterns of owls often goes undetected or unobserved, and frequently it is only the voices of owls that give us a clue about their presence, sometimes without our even knowing which species is making a particular sound. Like most birds, owls vocalize to communicate information important to locating or communicating with their mate, their offspring, or other owls intruding into their territory. And for these different functions, owls regularly use a variety of calls, some of which are the creepy sounds potentially heard by little trick-or-treaters during their nocturnal Halloween walks. If you happen to live where there is good mix of deciduous (broad-leaved) trees and large white pines interspersed with open areas practically anywhere in Massachusetts, especially if the trees border a lake or pond shore, the deep, resonant hoo, hoo-hoo-hoo, hoo, hoo at dusk or dawn in the autumn is a clear indication that your neighborhood is occupied by a pair of Great Horned Owls. Alternatively, if you should be awakened in the middle of the night by a rhythmic hooting that clearly sounds like who-cooks-for-you, who-cooks-for-you, allll, and if it has the quality of a distant barking dog, then the neighboring woodland is almost certainly home to a pair of Barred Owls. While most of our local owl species are relatively sedentary throughout the year, the tiny Northern Saw-whet Owl is highly migratory in varying numbers during October and November. 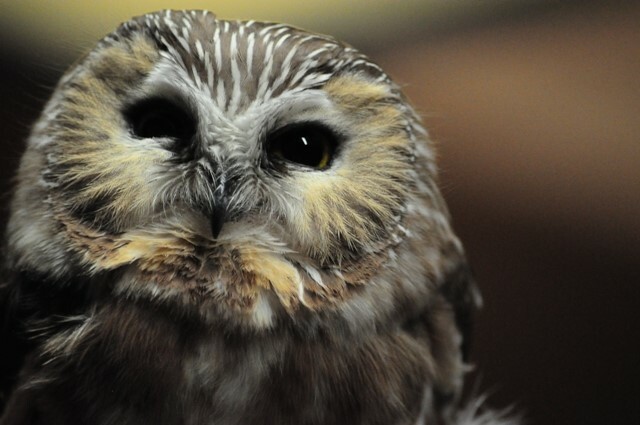 Impressive numbers are annually captured and banded at several different owl-banding stations in eastern parts of the state—including Drumlin Farm. Generally silent, territorial saw-whets typically give a long series of mellow, mechanical, whistled toot-toot-toot-notes that sometimes may continue for many minutes. 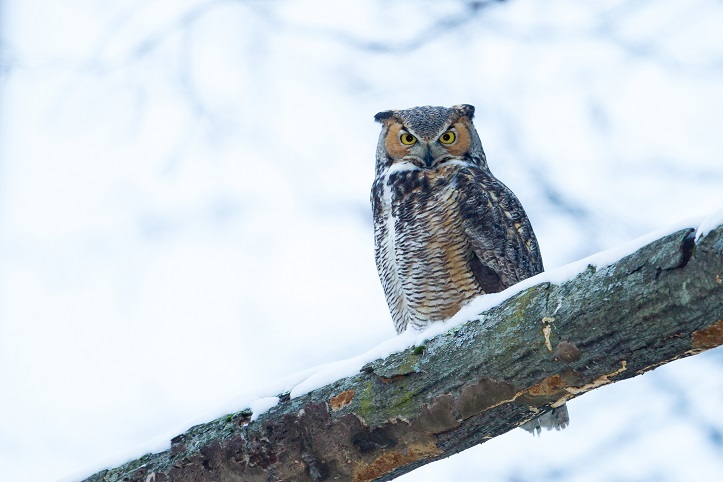 Primarily a denizen of coniferous forests in western Massachusetts, but also in the pine barrens of southeastern parts of the state, including on Cape Cod where it is probably second only to the much larger Great Horned Owl. In fact, the Northern Saw-whet Owl is undoubtedly far commoner than most folks suppose. 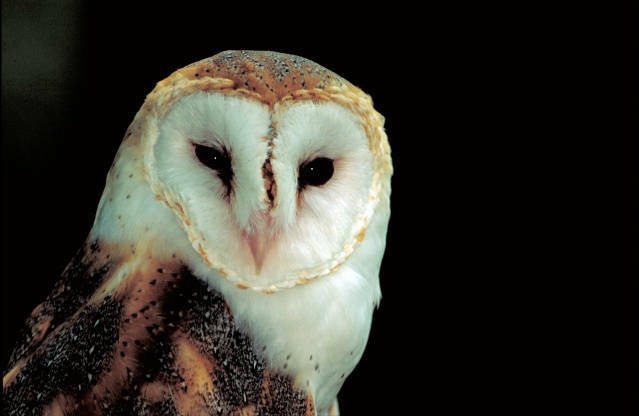 For the keen listener abroad at night on Martha’s Vineyard or Nantucket, one can occasionally hear the raspy shriek of a Barn Owl as it leaves its daytime roost, or forages for mice over open moorland. At dusk on Halloween evening it would also not be surprising to hear the soft descending whistle (or whinnying sound) of the little Eastern Screech-Owl, the species which is undoubtedly the most common owl in Massachusetts. 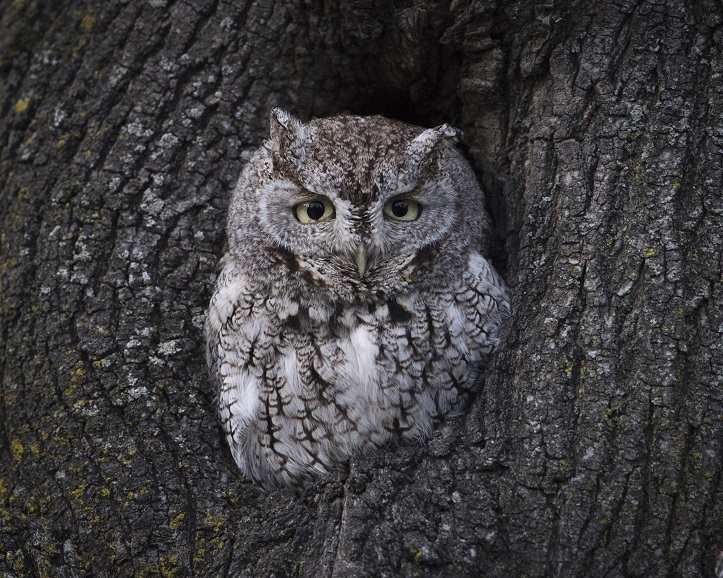 Screech-owls also have a low, hollow, monotone whistle that can sometimes be heard throughout the night. Listen carefully and don’t fear! So don’t be overly fearful of things that hoot or toot at night! Indeed, go to the window or door and listen more carefully, or take an evening stroll with a flashlight and see if you can spot one of these fascinating creatures for yourself after dark. This entry was posted in Birds and Birding and tagged birding, birds, owls on October 31, 2017 by Wayne Petersen.